Be the first to review this 2019 Honda Civic Type R.
The Honda Civic has been around, and successful, for nearly half a century. You read that right, this is its 46th year. Another way of looking at that is that the Civic has been around for nearly half the time that cars have existed. The sedan and coupe were redesigned in 2016. The hatchback followed in 2017, and for 2018 there were no changes. Now, in 2019, there are new headlamps, and some of the chrome in front has been replaced by cleaner black trim. But a more significant change is that automatic emergency braking, lane-departure warnings, and adaptive cruise control have been made standard on all models. That raises the price by about $500, but last year those features cost about $1,000 as an optional package. There are so many types of Civic that it’s difficult to generally describe the performance, but it can be said that it’s a calm car, not a sporty one (except for the Civic Si and Type R), and it feels more like a small luxury car than a compact. It offers fluid handling, a comfortable ride, interior room in the sedan and cargo capacity in the hatchback. The Civic family includes a coupe, sedan and hatchback, in six trims from base LX to Sport to fully-loaded Touring. They use two engines: a 158-horsepower 2.0-liter four cylinder, or a 174-hp 1.5-liter turbocharged four. The Civic Si pumps that turbo four up to 205 horsepower, and uses an adaptive suspension; it changes the character of the Civic, offering fun with the frugality, and throws in refinement as a bonus. 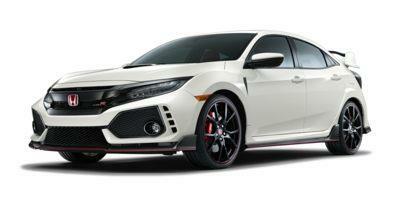 The Type R hatchback with its aero styling tosses a shrieking 306-horsepower, 2.0-liter turbo-4 at buyers. Why? Because Honda can. Both the Si and Type R come with a continuously variable transmission (CVT), but a 6-speed manual is available. Honda says the best-selling Civic is the sedan with the more powerful 1.5-liter turbocharged engine making 174 horsepower, which comes in the three top sedan models, EX-L, EX-T, and Touring (it’s standard in the hatchback). Fuel mileage for those models is exceptional, at 32 mpg city, 42 highway, and a satisfying 36 mpg combined. The aerodynamics apparently aren’t quite as good on the hatchback and coupe, which get 34 mpg and 35 mpg, respectively. Civics with the non-turbo 2.0-liter engine making 158 horsepower make 2 mpg less, at 30/40/34 mpg with the CVT. Even Civic Si with its bump up to 205 horsepower doesn’t take a big hit on fuel mileage, at 28/38/32 mpg as either the coupe or hatchback. The Civic Type R is the relatively thirsty one, although 25 mpg and 306 horsepower is still a winning formula. The 2019 Civic hasn’t been crash-tested yet, but the 2018 earned five stars overall for most models, with four stars for the Coupe in the frontal crash test for the passenger side. The IIHS rated the Civic’s active safety technology that is standard in 2019 "Superior." At $20,345 to start, the 2019 Honda Civic LX sedan’s price climbs to $21,145 when its standard 6-speed manual is swapped for a continuously variable transmission (CVT). A coupe version of the Civic LX - only available with a CVT - costs $21,545. For $1,700 more, a new Civic Sport trim level swaps a 5.0-inch display for a 7.0-inch touchscreen for infotainment with Apple CarPlay and Android Auto compatibility, 18-inch wheels, keyless ignition, and a number of appearance upgrades. The Civic Sport is available in both sedan and coupe versions with either the 6-speed manual or the CVT, but it uses the same 158-horsepower 2.0-liter inline-4 as the Civic LX. Upgrading to the Civic EX pushes the Civic’s price another $1,000 to $24,095 for the coupe and $24,295. It loses the Sport’s 18-inch wheels but gains a 174-hp 1.5-liter turbo-4, power driver’s seat, moonroof, dual-zone automatic climate control, heated front seats, and a right-side camera that monitors the vehicle’s blind spots. Previously, the Civic EX could be had with a 6-speed manual transmission, but that combination disappeared for 2019. On the bright side, the turbo-4 engine was previously optional on the Civic EX. Leather seats are optional on the Civic EX sedan (turning it into the Civic EX-L) for $1,200. The Civic Touring tops the lineup for $28,195 in sedan guise and $27,745 as a coupe. It builds on the EX-L with 18-inch wheels, LED headlights, navigation, and a few other features. The sedan, the most popular Civic body style, doesn’t look like an economy car, with its sleek and sweeping profile, and its edgy creases and slits in the sheetmetal. It’s low and wide and looks bigger than it is, with flared wheels and a wedged tail with Acura-like taillamps. It might be mistaken for a hatchback at first glance, even with its conventional trunk. The Hatchback is nearly the same as the sedan, from the B pillars between the doors to the front of the hood. It rides on the same 106.3-inch wheelbase, but it’s 4.4 inches shorter in overall length, as its chopped-off tail cuts that amount from behind the rear wheels. Everything behind the pillars is distinctive, and it’s downright swoopy for a so-called hatchback, but its styling comes off as busy. Our favorite is the Civic Coupe, the fashion model of the lineup, with dramatic character lines running the length of its body. It looks especially good in this year’s new Sport trim with its 18-inch alloy wheels and additional black accents. The Civic Si, available as a sedan and coupe but not hatchback, uses different trim and sportier wheels. If you want a more powerful hatchback your only choice is the Type R, hatchback only, but it goes over the edge with its boy-racer looks. The Civic cabin is fairly conservative, tame and organized, with tasteful trim and a horizontal dash and central touchscreen. The emphasis is on the functional, with a wide center console and a generous number of pockets and bins. The soft-touch materials and low-sheen plastics have a feel of quality. The dash is low and the front seat raises, so forward vision is excellent. The gauges are clean and crisp, except on the deluxe Touring model, which gets a digital display on an LCD screen. The standard 5.0-inch screen on the base LX is too small; all other models use a 7.0-inch touchscreen that fits the dash better, while its infotainment has Apple CarPlay and Android Auto compatibility. There’s a lot of room inside, enough for a 6-footer in back with an inch of knee room to spare. The sedan’s generous 15.1 cubic-foot trunk is nearly as large as that of a mid-size sedan. Coupes sacrifice space for style and come in with just 12 cubic feet. The hatchback, even though truncated, has much more cargo capacity: 25.7 cubic feet with the rear seat up and 46.2 cubic feet with it folded flat. It can carry a mountain bike with the front wheel removed. It also features an innovative sideways sliding cargo cover that can be stowed on either side. The non-turbocharged 2.0-liter engine making 158 horsepower comes in the LX, Sport, and EX, with a continuously variable transmission (CVT); a 6-speed manual is available, and we really like it, despite its lower fuel mileage. The engine is quiet enough and has decent power for commuting, but it’s boring. The CVT gets the job done well, less flawed than most of its kind. The turbocharged 1.5-liter engine making 174 horsepower (or 180 hp in other states of tune) comes with the EX-T, EX-L, and Touring models, or any Hatchback. The engine is not only quicker and more responsive than the 2.0 liter, it’s more fuel efficient. There is some turbo lag, which the standard CVT can exacerbate. However this CVT feels much better than the one paired with the base 2.0-liter engine. It’s smooth and quiet although still not quick or exciting. Ride and handling is where the Civic excels. Quick, direct steering and a taut and a compliant suspension give the Civic precision and composure both in the city and rushing down curvy roads. It doesn’t dance over bumps, it manages them. The suspension uses struts in the front with hydraulic bushings, and multi-links in the rear with a rigid subframe, with hydraulic bushings on EX-T models and above, as well as 17-inch wheels and tires. Same with the turbocharged Civics. Civics with 17-inch alloy wheels ride the best. The 18-inch wheels on Civic Sport and Touring versions look good but transmit more bumps to the cabin. The Civic LX and EX ride on pedestrian 215/55HR16 tires that run out of grip and ability to cushion the ride on bad pavement, but still the ride’s not bad. Handling is predictable even when grip is not, as we observed on wet roads covered with leaves. Because the steering column is thicker (for crashworthiness), the Civic uses a sophisticated steering system, a dual-pinion, variable-ratio setup. There’s a motor in the steering rack that provides gradual and consistent steering boost. The brakes are firm and fast to respond, with a short pedal stroke. The Civic Si takes the 1.5-liter turbo engine and boosts it to 205 horsepower. It’s a model of approachable performance. A 6-speed manual with short throws is the only transmission choice, and we like it. An adjustable suspension lets drivers toggle between normal and sport modes. The Type R uses a 2.0-liter making an eye-popping 306 horsepower. It’s an engine that loves to rev, and it pairs beautifully to the standard 6-speed manual. It’s almost too quick for the street, but that makes it no different from hundreds of other cars. Managing that power is a lot to ask for front-wheel drive, but the Type R displays remarkable balance thanks to a helical limited-slip differential and high-performance tires. So many Civics, so little time. You’d need at least three personalities to get the full Civic experience. As enthusiasts, we like the Si, but wish it came in hatchback form. The Type R is out there for the Subaru WXR STi and Ford Focus RSR crowd. The 1.5-liter turbo engine is a much better choice than the 2.0-liter non-turbo, for its responsiveness as well as its better CVT. It’s still hard to go wrong with the bare-bones LX. It’s a Civic, after all. 2019 Honda listings within 25 miles of your ZIP code. Find 2019 Honda listings for sale near you.